We’re your one-stop source for custom window fashions and more. Come into our unique showroom to see, feel and operate full-size interactive display window fashions firsthand before you begin to make your decisions. Our distinctive service includes the best national brand, professional measuring, experienced installation and stylish design, all provided with a local flair since we’re family owned and operated, for more than two decades. You’ll find everything you need to transform your living space into your dream home. Visit one of our showrooms today! Nothing brings the charm of the South into a home like the beauty of plantation shutters. 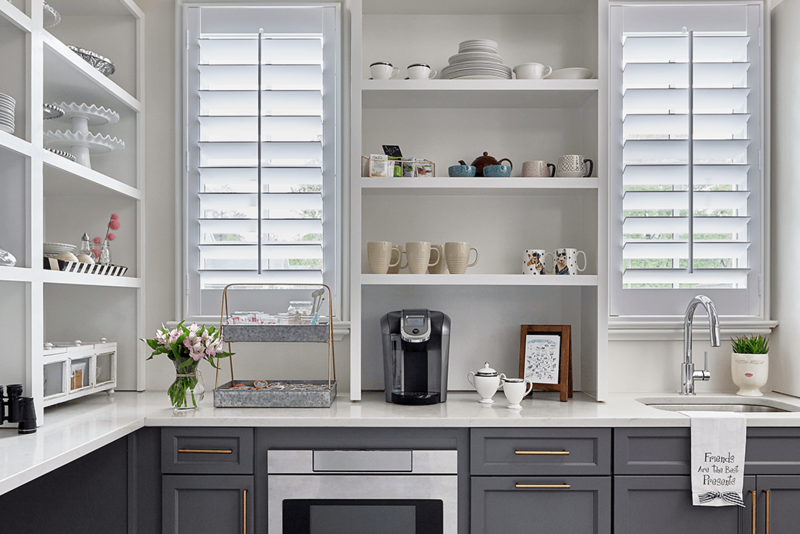 Their distinctive design and functional construction makes shutters a gorgeous addition to any home, whether you are aiming for the decorum of the Old South or something a bit more modern. Plantation shutters not only look beautiful: they are also some of the most versatile window coverings available, and with their elegant construction, they are incredibly easy to operate. To truly bring the aesthetic values of the American South into your home, trust in the shutters that have been born and bred here to do it. Artisan Shutter has been crafting quality custom shutters for North and South Carolina for over twenty years. Artisan plantation shutters were born out of the marriage of Southern design sensibilities and the value of hard, long-lasting work. Artisan Shutters are more than just a decor piece: they are going to be an addition to your home that you will be able to look at with pride for years to come. And, by supporting Artisan Shutter, you will be supporting American industry. Artisan Shutters are American made and the company is family owned, so you can rest easy by knowing that your money is going right back into the community. If you want your home to be among the most beautiful in the Carolinas, contact us today to learn more about Artisan Shutters. When decorating our new apartment at The Arlington in Charlotte, I found A Shade above most helpful. Angela was helpful in making creative decisions and delivering and installation in a timely fashion. I would recommend A Shade Above to friends and family and would absolutely use them again. We love our new shutters and blinds from A Shade Above! Everyone we worked with was very friendly and helpful. Thanks! Great job all around! The shutters look great, the quality is excellent and the installation team did a great job! I had an excellent experience with A Shade Above. Chad was knowledgeable and helped me choose the perfect plantation shutters for my great room. They were priced competitively and installed professionally. The shades are beautiful and reduce the light and heat so thoroughly that the whole family can finally enjoy the room at all times of day and all seasons. I am very happy with the whole process!!. I continue to add your plantation shutters to my home because of the quality of the product and the perfect installation. I’d like to start by saying how wonderful it was to work with your company. From my first contact with Michael and through the installation, all went wonderfully and the final product is just beautiful! Michael was very informative and made the process super easy. The best decision I ever made! I paid a little more & got a lot more!!! All shutters look great and operate smoothly. It’s clear your team is customer focused and makes every reasonable effort to ensure customer satisfaction. My new shades add another level of elegance to our home that I didn’t think was possible. Thank you to the team at A Shade Above for helping me through this process and being so helpful and easy to work with. Excellent service and sytlish, quality products. Great job, great serivce. Chad is amazing. Very pleased with final product. Chad and entire team were most helpful and professional. I interacted with 4 of your employees and all of them were WONDERFUL!! I have nothing but positive things to say. Thank you!! Both Chad, the Sales Representative who measured our windows, and Michael, the installer, were very professional and very pleasant. They both were great representatives of your business. I would definitely recommend your company to friends and neighbors. This is the second time we have had your service. You have an excellent product. Both Michael and the man who installed my shutters were excellent, very attuned to detail and very eager to be sure I was satisfied. Excellent staff and excellent company. I will continue to buy your shutters for my second floor Windows right after the holiday and very confident to recommend to others. PS The woman who spoke to me on the phone to confirm my order and delivery was pleasant and accommodating! Great company! Our Myrtle Beach showroom is conveniently located on Sea Mountain Highway. We display the latest in Hunter Douglas shades, and Artisan Shutters for you to see, feel and operate. Our Charlotte area showroom is conveniently located both in South End across from the Seoul Food Meat Company. We display the latest in Hunter Douglas blinds & shades, and Artisan Shutters for you to see, feel and operate. Our Cornelius, North Carolina showroom is located in off Jetton Road in Lake Norman. We display the latest in Hunter Douglas blinds & shades, and Artisan Shutters for you to see, feel and operate. Our Providence Promenade location is located in the Promenade on Providence Shopping Center behind The Fresh Market. 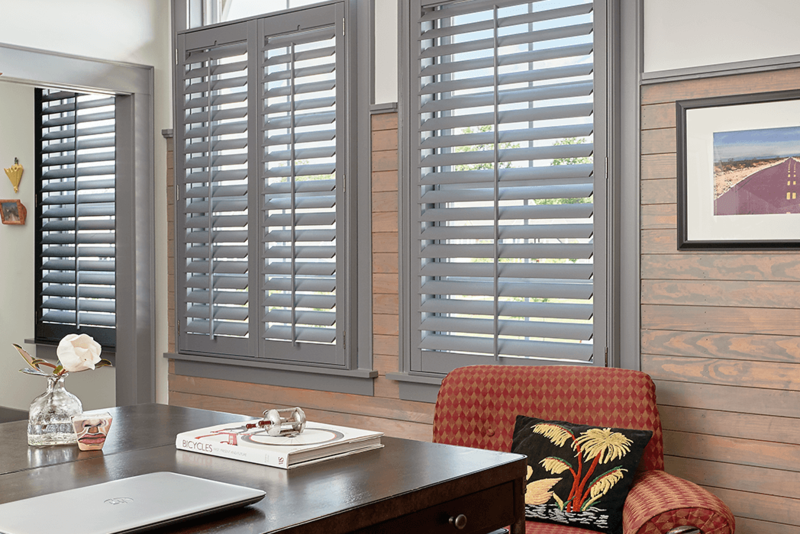 We display the latest in Hunter Douglas shades, and Artisan Shutters for you to see, feel and operate.